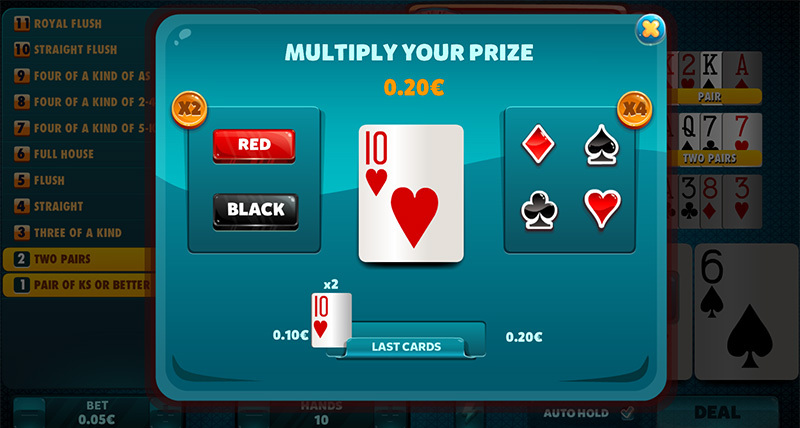 As the name suggests, obtain a Four of a Kind and you will triple the value of your prize! 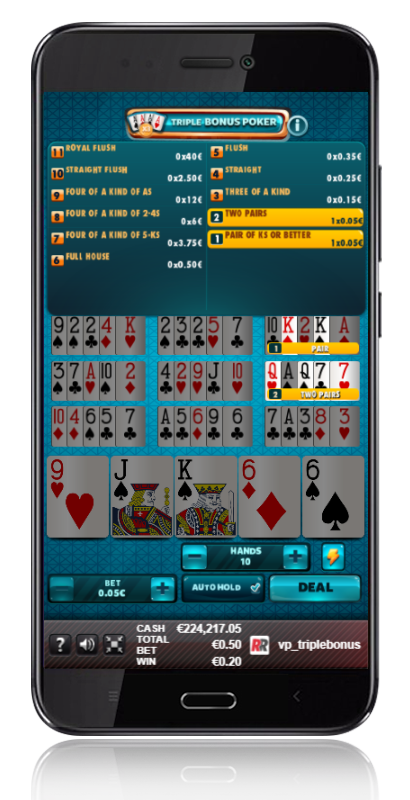 You will also obtain prizes with any hand that beats a pair of Ks. 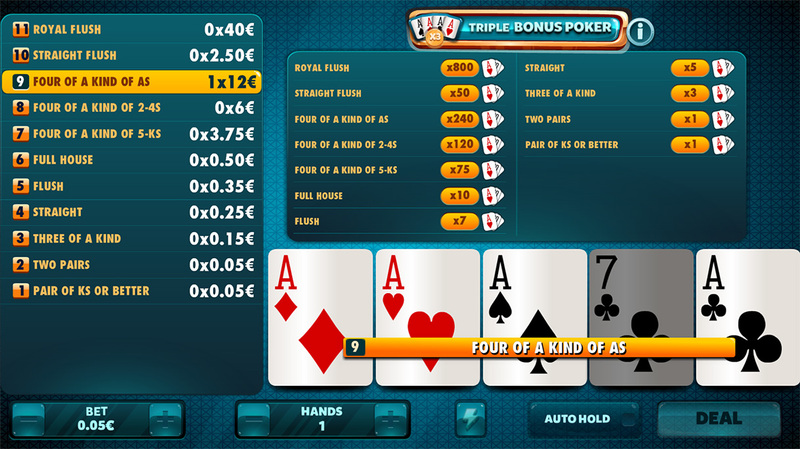 Any hand equal to or higher than a pair of Ks will have a prize. 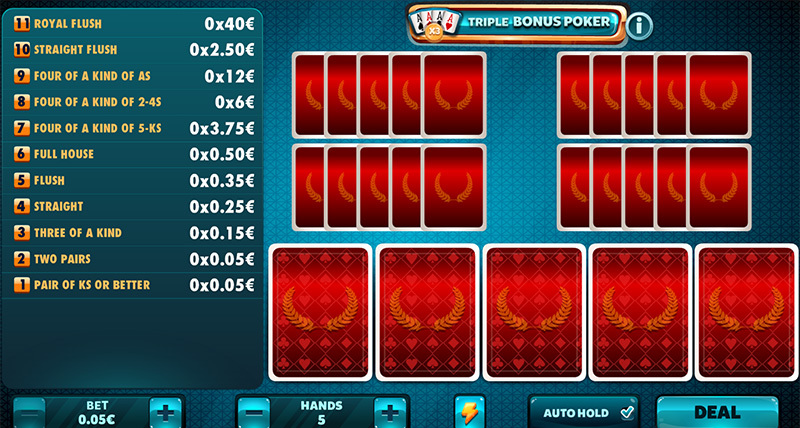 Triple Bonus Poker: Never has a Four of a Kind been worth so much. 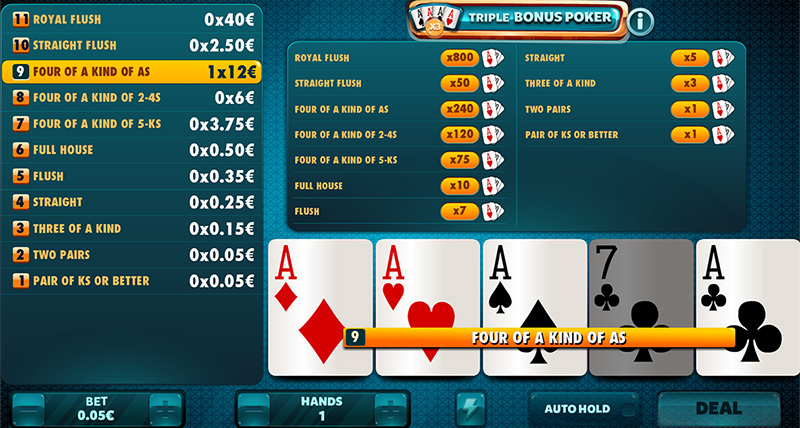 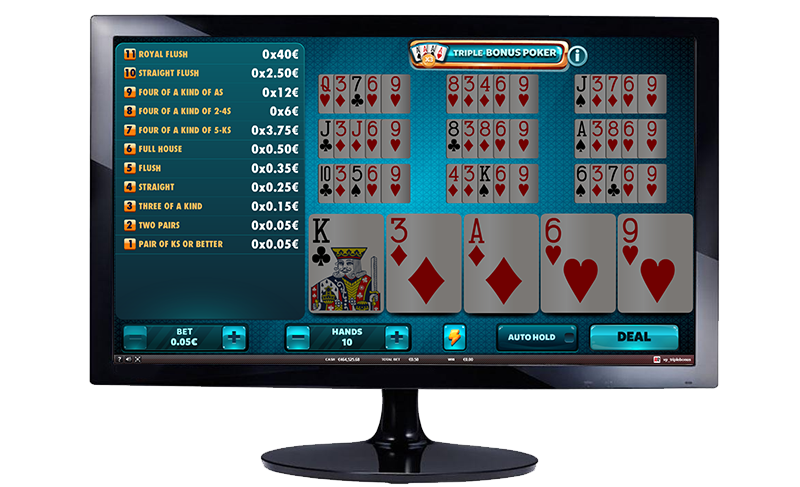 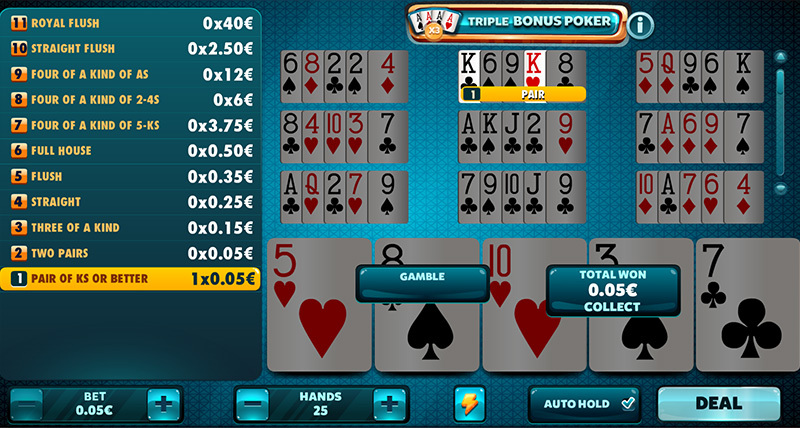 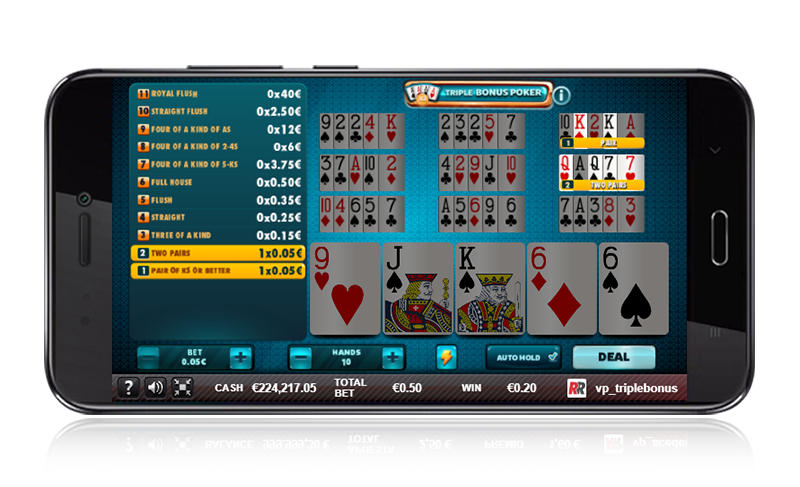 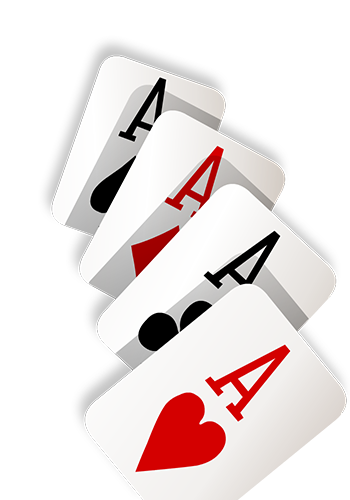 Triple Bonus Poker: Any hand equal to or higher than a pair of Ks will have a prize.